Get your goal-kicking and batting average up with the new Soccer/Cricket net attachment, complete with shot targets and a velcro wicket. 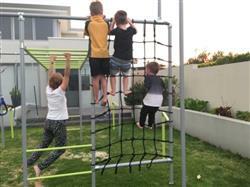 The Funky Monkey Bar is the perfect frame for a soccer goal and the velcro wicket will catch the ball for you. 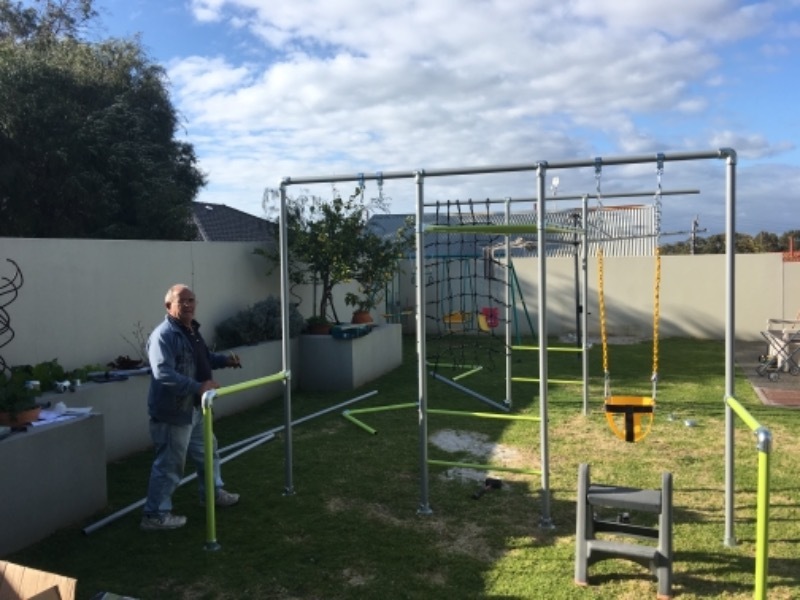 The net comes in its own storage bag so you can swap it in and out of the Funky Monkey Bar frame. 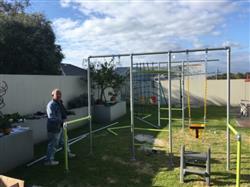 Please note the monkey bar/frame is not included in the Soccer Net price. Fantastic. We have only had all our equipment since August last year, Soccer net and basketball ring since Christmas. All of it has paid for itself at least twice over. 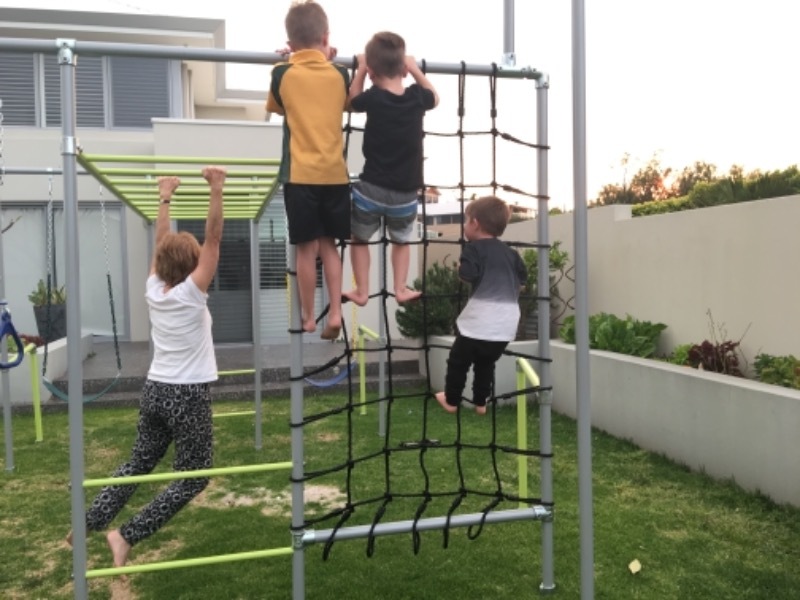 If you are considering purchasing Funkey Monkey bars, do it now! If you haven’t heard of it, investigate. A wonderful, wonderful addition for the whole family.